Can u pls tell why i cant no longer see movie or actor awards in main page? I can see awards before i upade informations, but after i update informations from net all awards are gone from main page. Using imdb script as always. 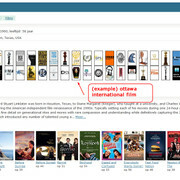 Open the film information, save the infromation and the awards will return. Still not working. 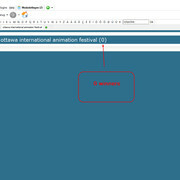 If i edit information manuly its ok, but after i update it from internet it disappears. I think there must be some bug in how are information writen in award field when downloaded from internet. OK so i solved the problem. Problem is in one word, if i change word winner to won in awards field, award icons are back and visible again. So its another bug, this new version its so bugy anyway.